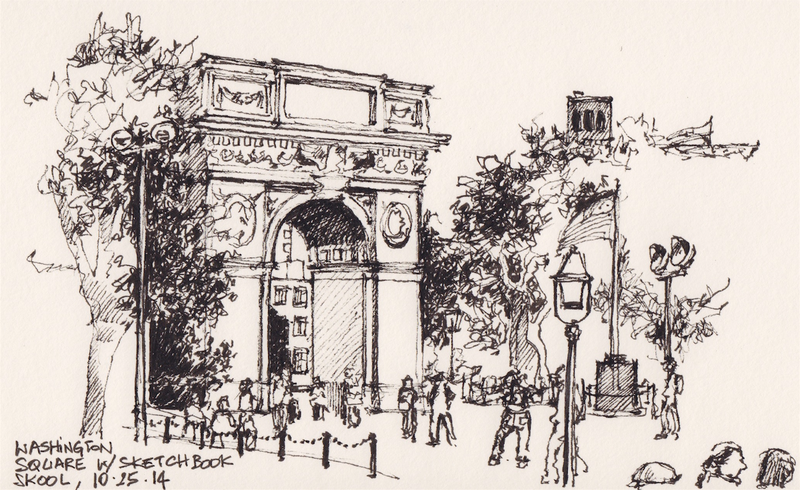 I spent yesterday afternoon with the Sketchbook Skool community in Washington Square Park, sketching. The weather was gorgeous, the people were chatty, and I found an amazing parking spot. I met Danny Gregory and would not have been more star struck had I met Keith Richards himself. Pigma Micron 05 in Stillman & Birn sketchbook. Merci Renata, je m'en reviens de votre blog. Du beau travail au Bic!